The limit of a function f(x) as x approaches c is a real number L.
1) The right-hand limit exists. 2) The left-hand limit exists. 3) The right-hand limit is equal to the left-hand limit. 1) The right-hand limit is not equal to the left-hand limit. 2) The function increases infinitely as x approaches c.
3) The function oscillates between two fixed values as x approaches c.
4) The graph of the function has a jump discontinuity at x = c.
5) The graph of the function has an infinite discontinuity at x = c.
Check if the limit exists. If it does, find the limit. 1) Calculate the left-hand limit. 2) Calculate the right-hand limit. 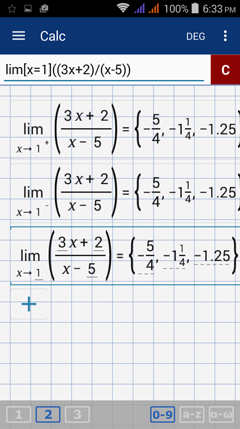 3) If both limits are equal, then the function has a limit as x approaches c = 2. The limit is equal to the right-hand limit which is equal to the left-hand limit. ​Because the right- and left-hand limits are both equal to 4, the function has a limit of 4 as x​ approaches 2. 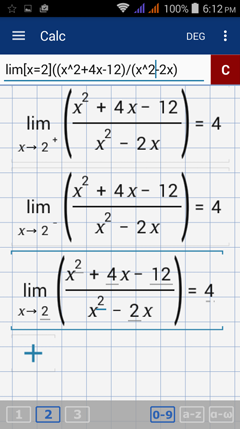 The one-sided limits are equal so the function has a limit of 4 as x​ approaches 2. 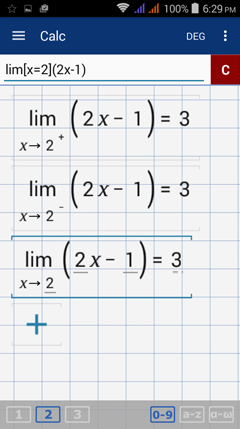 The one-sided limits are equal so the function has a limit of 3 as x​ approaches 2. The one-sided limits are equal so the limit of the function is 1/9 as x​ approaches 4. 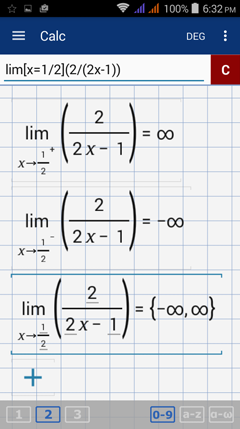 The one-sided limits are not equal since the right-hand limit is ​∞ while the left-hand limit is -∞. 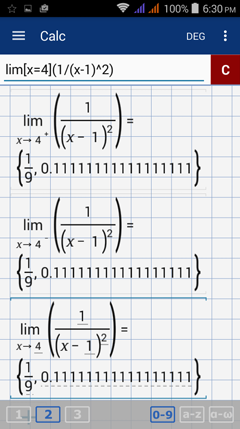 So the limit does not exist (DNE). 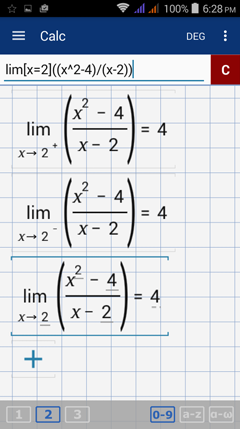 The one-sided limits are equal so the limit of the function is -5/4 as x​ approaches 1.